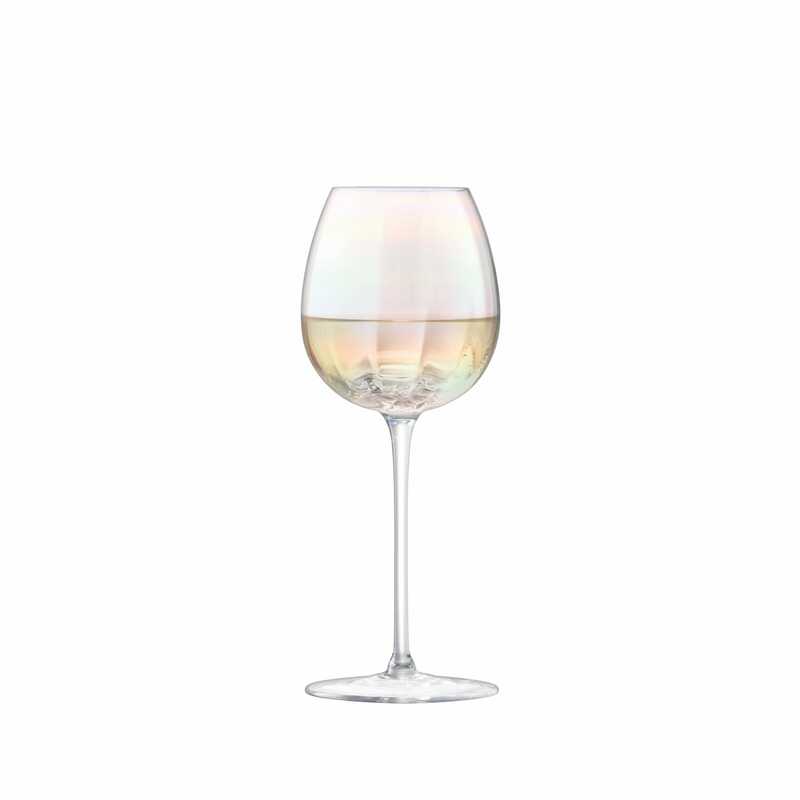 The subtly fluted Pearl White Wine Glasses are mouth blown and hand painted with a sheer mother of pearl lustre, inspired by the iridescent shimmer of a pearl. 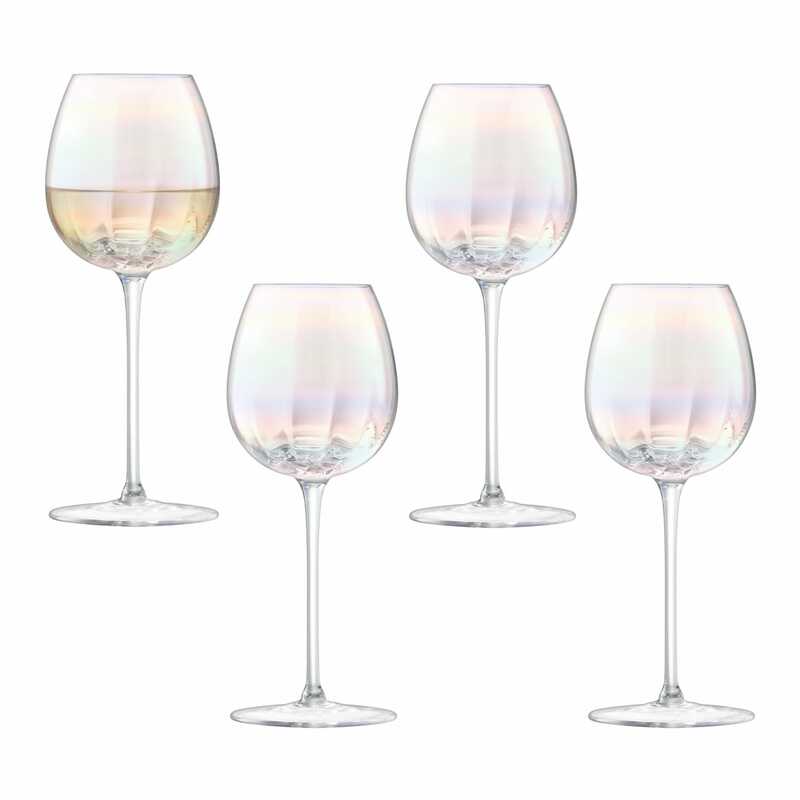 This set of four white wine glasses come beautifully gift boxed making them the ideal present for friends or your dining room. 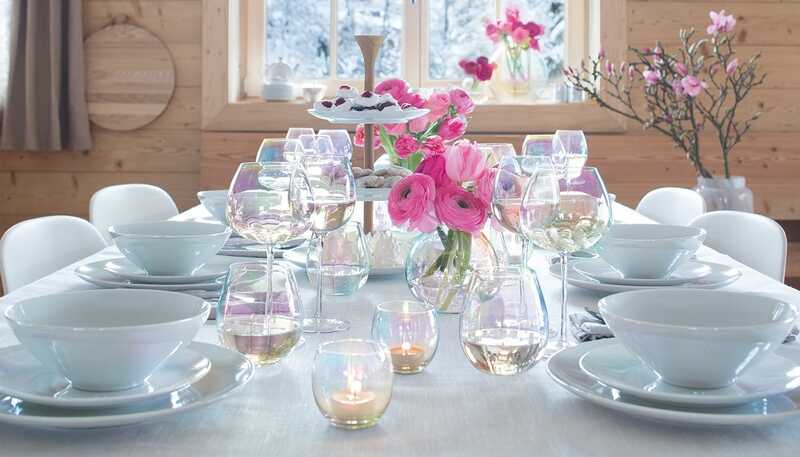 Bought for a wedding present, beautiful glasses but one broken, the glass is very thin so not ones to buy for regular use.